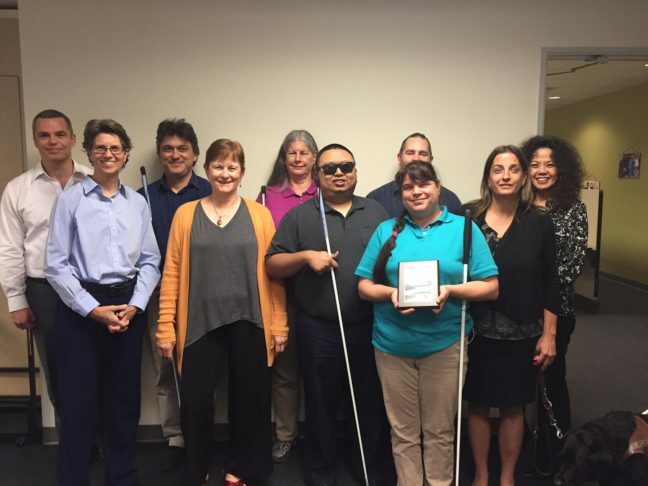 Society for the Blind in Sacramento recently accepted the award for Rehabilitation Organization of the Year by the Association for the Education and Rehabilitation of the Blind and Visually Impaired. The award is given each year to an organization that has demonstrated exceptional commitment and service to the field, as well as leadership in working with students, families, colleagues and businesses. Society for the Blind received the award for its expansion efforts, including its onsite Low Vision Clinic that now offers occupational therapy and services for young children, its peer and support group programming for parents of children with vision challenges, and its new partnerships with groups like UC Davis Eye Center and Junior Blind. “This is an enormous honor, and we are grateful for this recognition as we continue to find new ways to empower people of all ages living with vision challenges,” said Shari Roeseler, executive director, Society for the Blind.